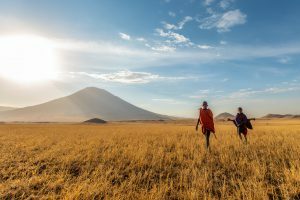 Together with photographer ‘Rein Rijke’ (Red Bull Illume finalist) I flew down to Tanzania to eventually drive for another 3 days to arrive at Lake Natron. Lake Natron is a toxic, alcaline, and 60 degree lake in the ‘Great Rift Valley’, between two tectonic plates. Nobody every got into that lake, except for some wild animals (who, unfortunately, never came out alive). Rein asked me if I dare to kite in that lake while he’s taking a photo with a drone. Such an adventure we had!! The first night we slept in tents in the middle of nowhere in the wild african savannah, we heard hyena’s/ wild boar’s/ elephants/ lions, I didn’t sleep for one single second that first night. 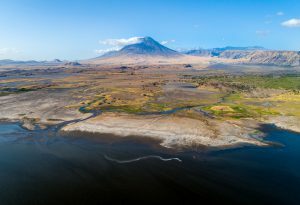 Our car broke down in the night, while towing and helping out someone else, but eventually we made it at Lake Natron. Once we arrived we noticed that the adventure only has begun. Kiting on this lake is something new and never done before. People were warning me that my skin could fall off and have serious health problems or could also be fatal. Soon a documentary will be launched about this adventure and our Search of Incredible. Have a look at my vlogs where I bring you with me on this adventure.